It happened. Ten years of building up to the biggest showdown in the universe and it’s finally here. 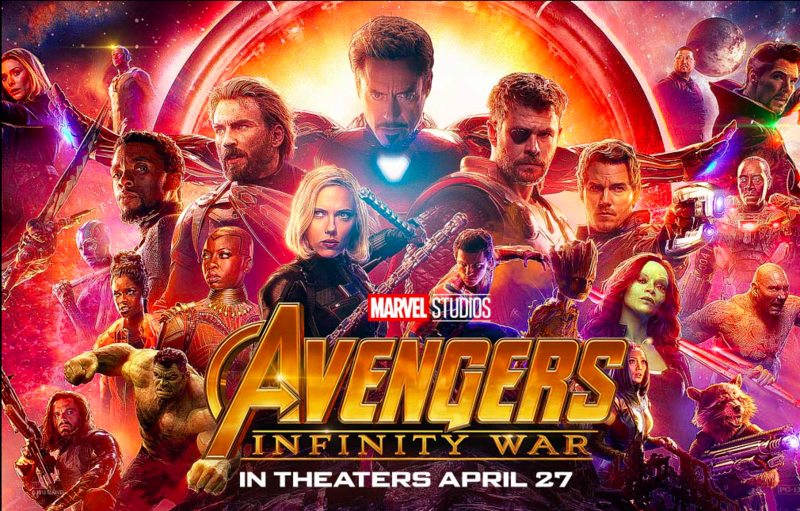 Avengers Infinity War opened on Thursday night, and you can bet very easily that I was there for the earliest showing possible. I sat there, two and a half hours of movie, and I spent those two and a half hours going through a roller coaster of beauty. As you may or may not know, Avengers Infinity War brings all the Avengers we’ve met over the past ten years together with the Guardians of the Galaxy in order to fight Thanos. Thanos is a Titan who wants all six Infinity Stones in order to bring balance to the universe by destroying half of the life within it. And that’s all I’m telling. The directors of the movie created #ThanosDemandsYourSilence and gosh darn it I am keeping my silence. I can also tell you a fun story. As you’re probably aware, Marvel fans have been trained for 10 years to expect end credit scenes. We know when they happen and when to expect them. So, as the credits roll, we all start talking while also keeping an eye on the screen. As soon as it was time for a potential scene, we were like “shhhh shh it’s time”. And literally the whole theater stopped talking instantly, ready for whatever else the directors threw at us. This movie is incredible, emotional, fun, everything fans have been dreaming of, and nothing any of us expected. It’s easily in my top five (my favorite is always Winter Soldier) and I cannot wait to go see it again and again and again.